I have a big list of illustrators' and designers' websites bookmarked for times when I feel uninspired or bored. One of the people on my list is Jim Tierney. 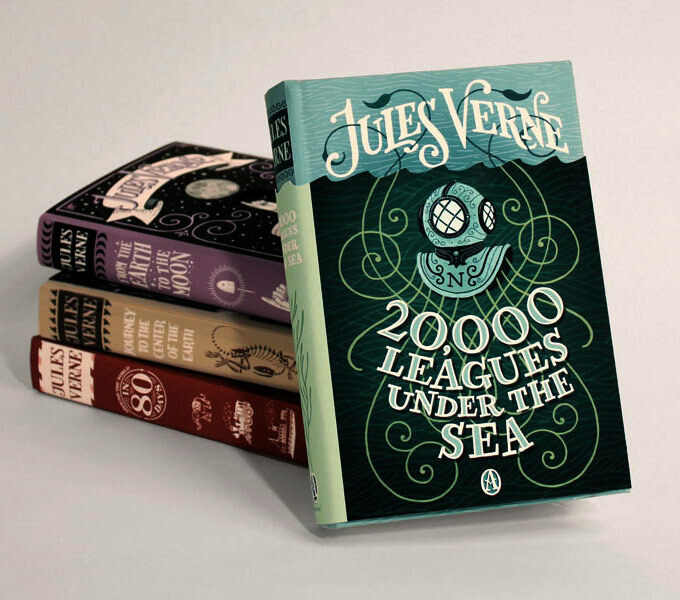 He did an awesome set of Jules Verne book jackets for a senior thesis. I seriously wish these books were for sale because I want them just to be able to look at them. They're beautiful! To see the rest of Tierney's project and more, here's the link. It's worth a click.